My children are the world to me. I could not ask for three greater blessings in my life. They bring me joy most days, heartache other days, and God continually uses them to sanctify me and make me more like His Son. I remember the early newborn days when my exhaustion got the best of me. If I had to take a poll on the advice I received, rest when the baby rests was top on the list! Now I know why. You can’t be a good mommy (or a civil human being) when you are low on sleep. Young children are naturally needy creatures. They demand our attention and care. But where would I fit in time and attention for my husband? Changing diapers, feeding mouths, wiping noses, mending boo boos, and refereeing arguments was certainly a full time job! After dinner, all I wanted to do was go to bed early and not be touched by anyone. 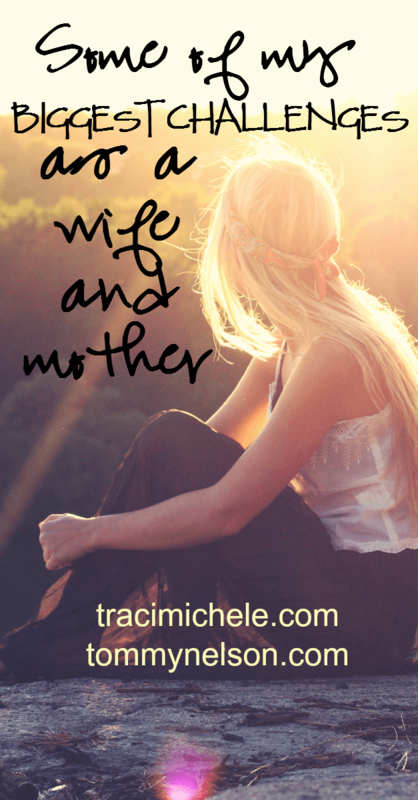 These were some of my biggest challenges as a wife and mother during my early years of motherhood. How do I find time for myself, my kids, and my husband? Here are just some of the things I’ve learned (mostly the hard way) over the past nine years of being a young mommy. Visit me over here. This entry was posted in Blog, Product, Tommy Nelson and tagged Challenges, mother, Tommy Nelson, Traci Little, wife by Traci Little. Bookmark the permalink.